Sorry about the technical difficulties the last 2 days…! Here is a cool video of the horses! The last two days have been technically difficult for me as we’ve been traveling… but this morning, I have a strong signal and strong coffee!! 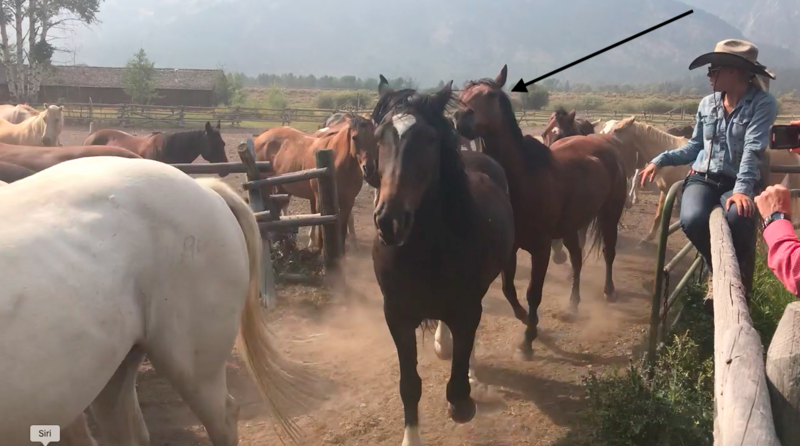 Here is a short video that Adam took of the R Lazy S horses running into their night pastures. I took a still of my horse, Cash.. .so you can find him in the lineup. Day 4. Glorious. No smoke in the sky, perfect temperatures and an ALL DAY ride. Sigh. I fell down while filming… but the horses look good anyway!! I think he is 10. How old is Cash ?